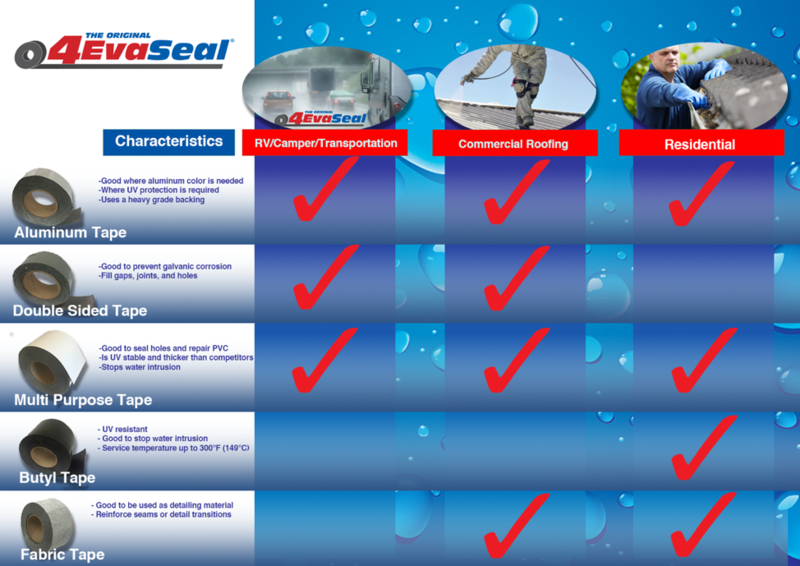 There are several different versions of 4EvaSeal® waterproofing tape. Each is designed for a specific use or uses. So, how do you choose the right one for your application? Let’s review the product line and break down the materials that form each product to better understand how and where each version of 4EvaSeal® can be used. 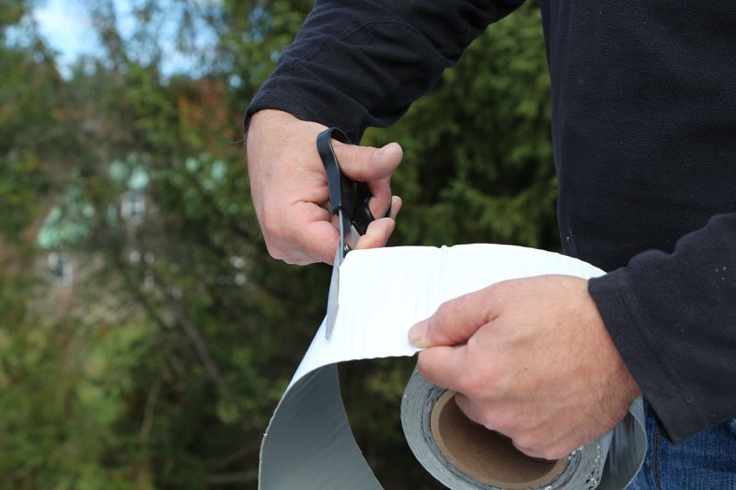 Self-adhesive waterproof tapes bond to substrates with greater force when the substrates are clean and dry and the tapes are applied in warm temperatures. The greatest challenge with existing materials is always how to get them clean. Outdoor substrates collect dirt that can become embedded in the surfaces. The surfaces can also be dusty or chalky from UV exposure. Reinforcing fabrics are regularly used with roofing, coating and waterproofing systems. They are necessary to properly detail certain conditions. However, they require extra labor and materials to install. It strengthens the roofing, coating or waterproofing over joints, seams, etc. It assures proper film thickness for liquid-applied materials. It assists in bridging gaps between materials. Single-ply roof membranes are plastic or rubber roofing materials that consist of one thin layer of material. The most common types of single-ply roof membranes are EPDM rubber roof membranes, PVC roof membranes, and TPO roof membranes. These roofs can vary in thickness from 40 mils to 80 mils (1/16” +/-). 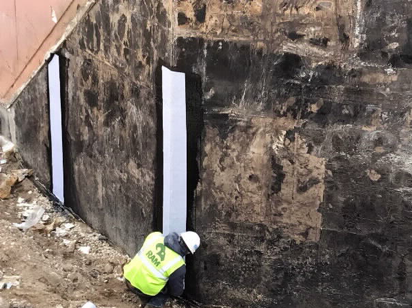 Testing the Bond of Waterproofing Tapes in 6 Simple Steps! Waterproofing tapes are used for various applications throughout the automotive, building, and construction markets. Many of these applications require a permanent bond to the substrate to prevent water or vapor permeation, but how do you know your tape application will meet that requirement? 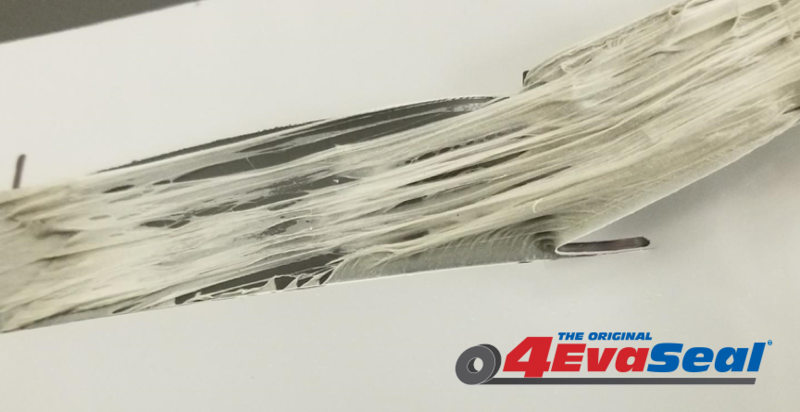 One way to assess the bond is by testing the tape’s peel adhesion to the substrate being used. While peel testing can help to determine compatibility between the tape and the substrate, it can also help you figure out if the surface preparation or application procedures are adequate to provide the required adhesion. Peel testing is a destructive test method. It is often used prior to the start of a project to verify that the application procedure will result in an acceptable bond and to confirm that the project requirements are met. 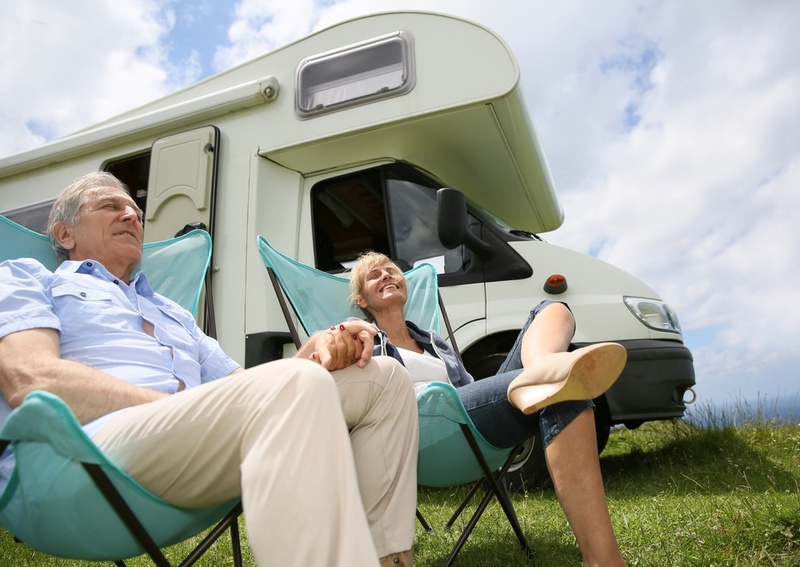 RV’s, Campers, box vans, and trailers are subject to hurricane force winds that can drive moisture through the smallest of gaps when traveling at highway speeds. Often the roofs of these structures develop leaks as the vehicle ages. 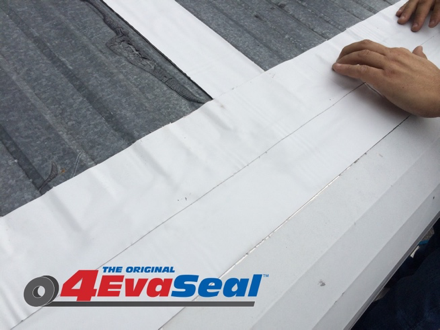 4EvaSeal Multipurpose Tape stops leaks, stays bonded, and prevents water intrusion. It is also extremely flexible and UV stable. Recreational Vehicle (RV) roofs have to endure weather conditions of every other type of roof but also need to handle 70 mph winds on the highway. The roof will flex and twist as the RV is in motion and endure the occasional low hanging branch at a campground. Damage can happen and, when it does, a permanent waterproofing repair tape is often the best solution. Damage can happen, and when it does, a permanent waterproofing repair tape is often the best solution. The 4EvaSeal® Multi-Purpose tape shows superior performance properties to competitive brands. 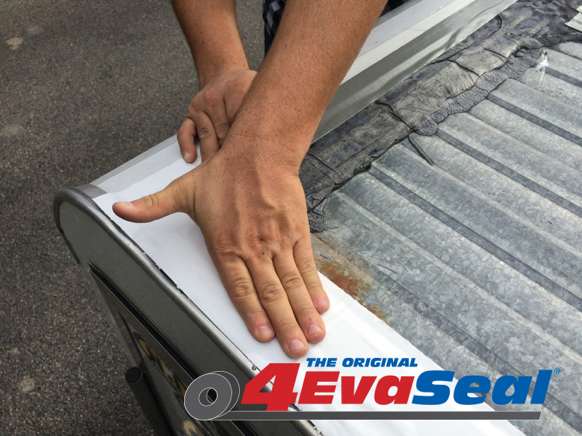 The following is the first comparison in a series where we will be testing and comparing the performance properties of 4EvaSeal® Tapes to other manufacturers. A commonly used brand is Eternabond®. Other brands that are not as common, but still widely used, are Sika® Multiseal Plus and Dicor DiSeal. Since these other brands provide similar performance to Eternabond®, we determined a comparison between 4EvaSeal® and Eternabond® would be the most appropriate. Part 1 of this 2-part series we discussed the importance of inspection, cleaning, and profiling. 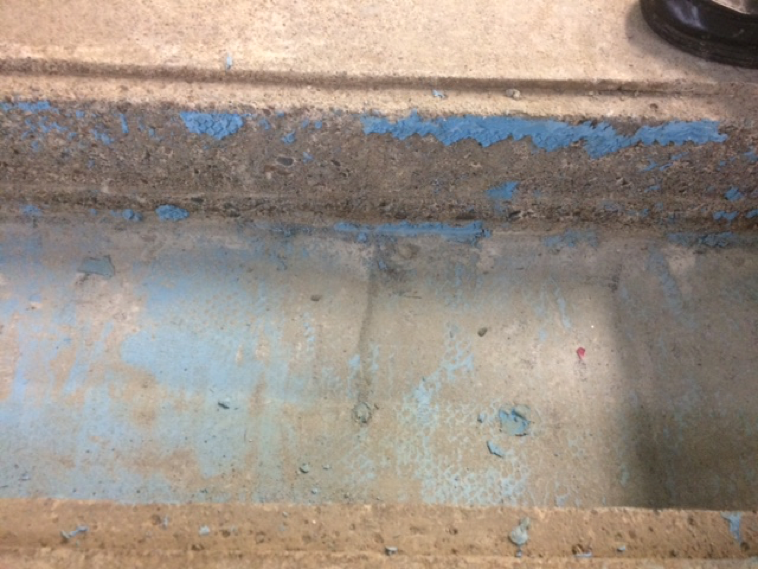 See article: Surface preparation Tips for Sealing and Waterproofing Tapes (Part 1). The final step to surface preparation, and most often overlooked is environmental monitoring. It is important to understand the environmental limitations of self-adhesive materials and to ensure that the application of these materials is performed within their limitations for a successful application. The limitations of these products are typically found on product data sheets. Always contact the manufacturer if the product data sheet does not contain information on how temperatures and humidity can affect the application of the product intended for use. 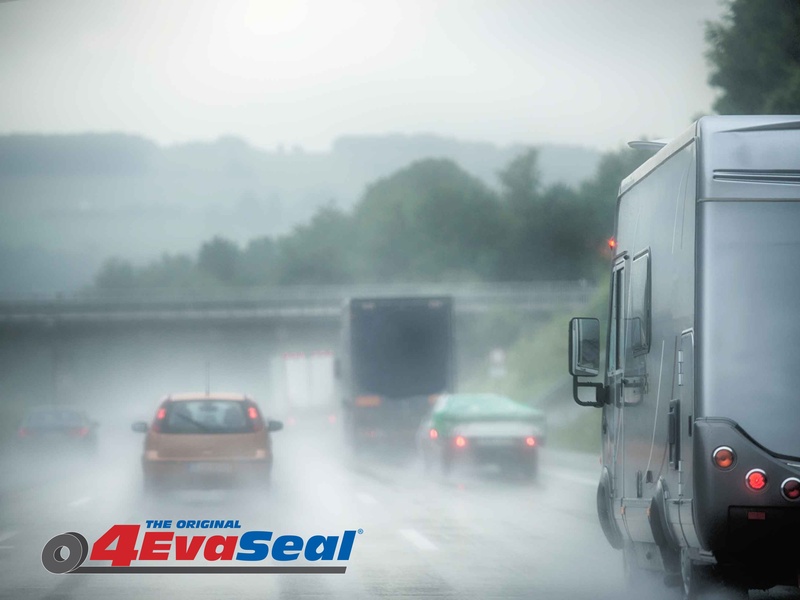 Peel-and-Stick seal and waterproof tapes are commonly used to prevent water from intruding into structures such as homes, commercial buildings, and recreational vehicles. These tapes provide outstanding long-term and life time performance when used properly. Proper use of tapes refers to not only the service environment but also how the tapes have been applied to details of complex shapes and penetrations and, most importantly, how well the surface has been prepared for application.